A serial or stand alone adventure! Beginning with a narrow escape from a massive earthquake, the party is swept into a relentless struggle against the savage and powerful Cult of Yex. 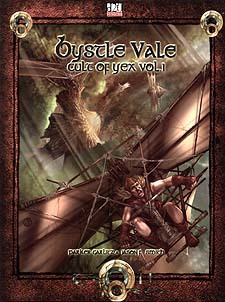 Whether played on its own or part of the greater epic, the Cult of Yex is a deftly woven and thrilling epic d20 adventure. Designed for 2-8 characters of Levels 1st-3rd. Requires the use of the Dungeons & Dragons Third Edition core books.